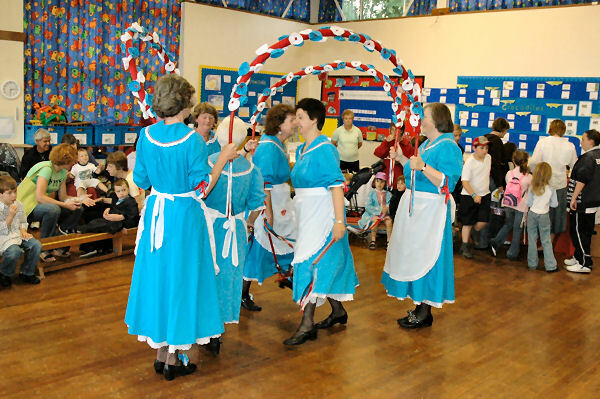 A brief Friday night appointment at Wooteys Infant School's fete - dancing indoors because of the rain outside. 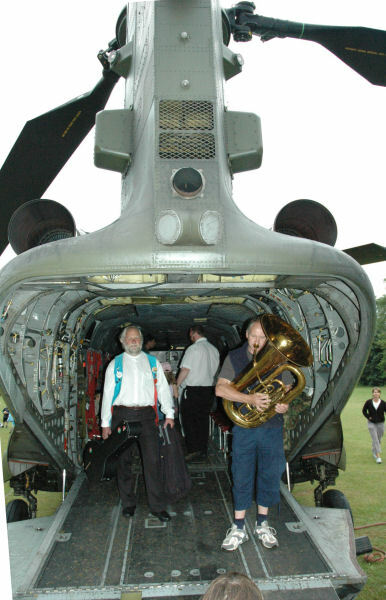 Out in the school field, the RAF had flown in a Chinook - a new place to make music. 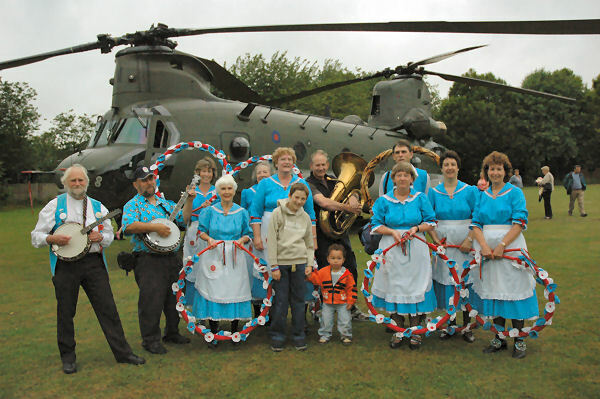 And a different backdrop for the group photo.